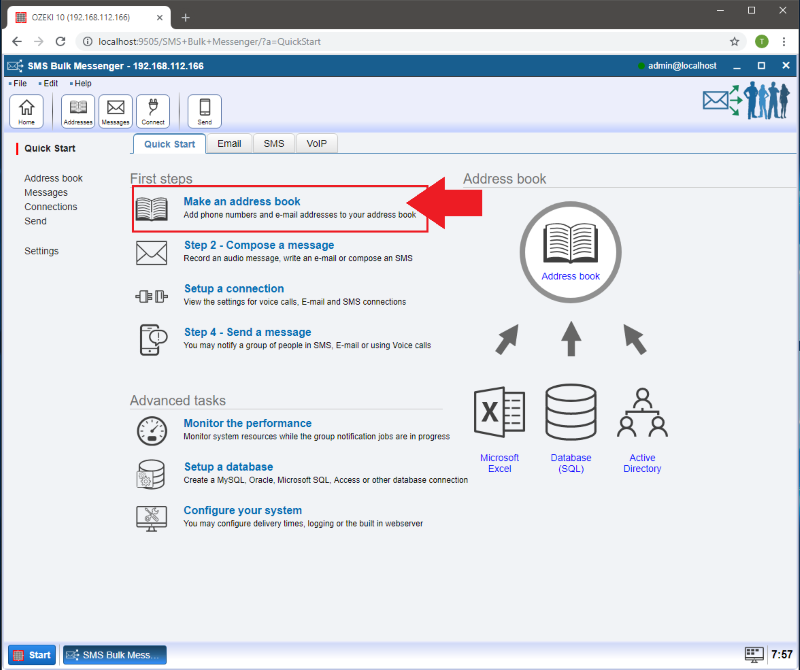 Ozeki Bulk Messenger software lets you import different type of Excel contact lists. 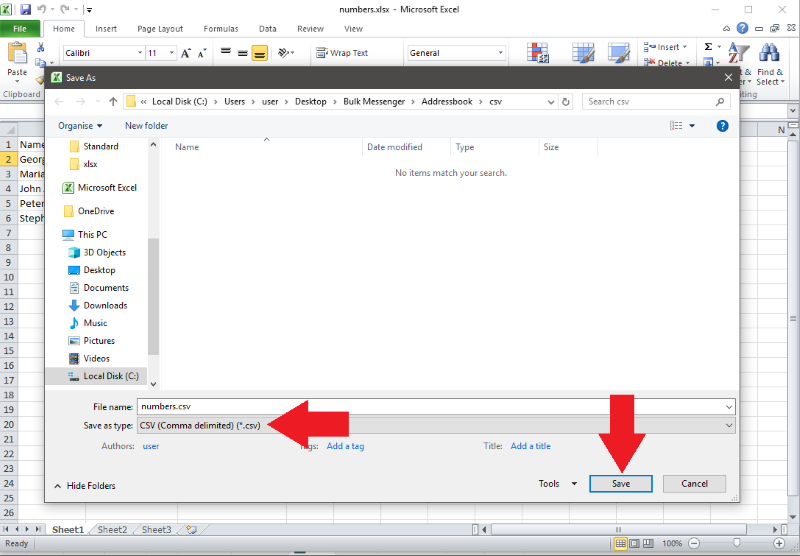 In this tutorial I will show you step by step how to create an Excel contact list and how to import contacts from a CSV file. 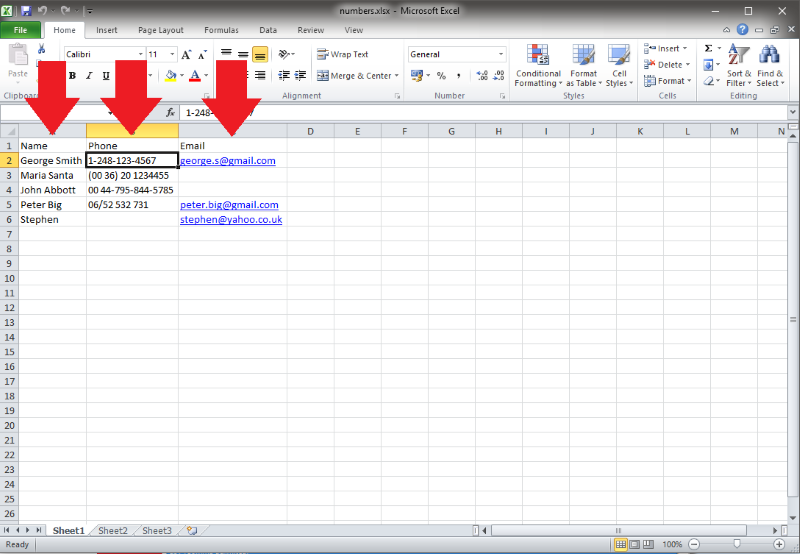 Open Microsoft Excel and write Full name, Phone number and Email into the first row, like on Figure 1. Then you can start adding names, numbers and email addresses from the second row. At 'Save as type' select CSV (Comma delimited). Please now return to Ozeki Bulk Messenger. 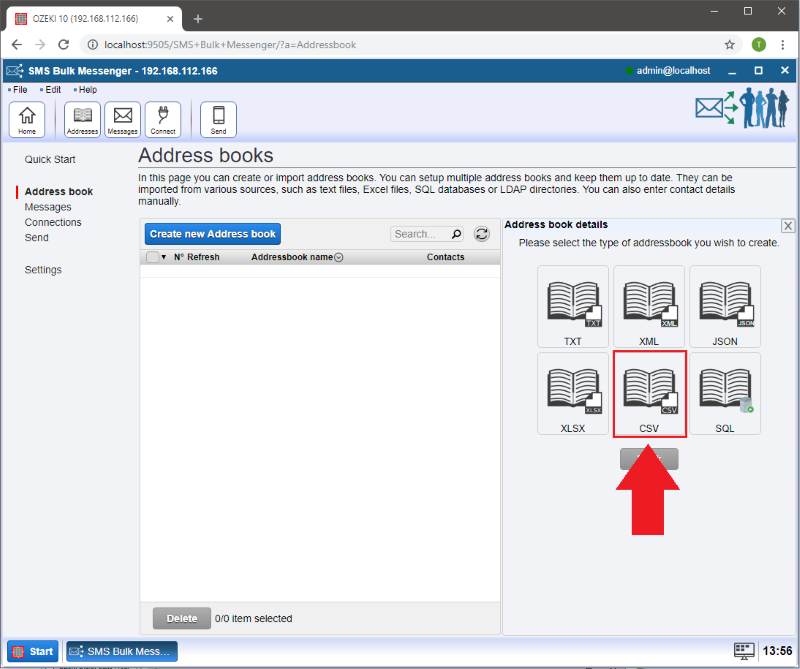 On the 'Quick Start' page select 'Step 1 - Address books'. 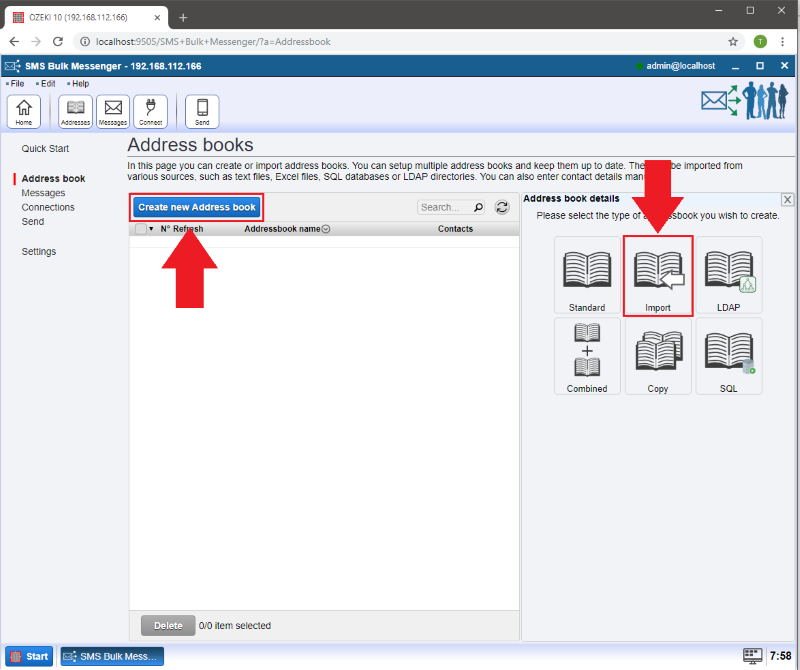 After that, click on the blue 'Create new address book' button and select the 'Import' address book. 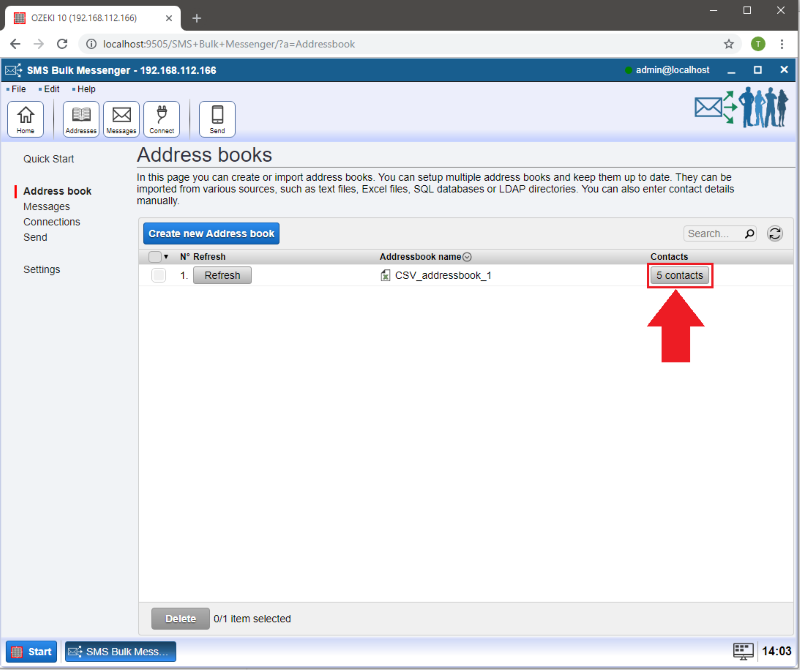 At 'Address book name' you can add a name for your address book. 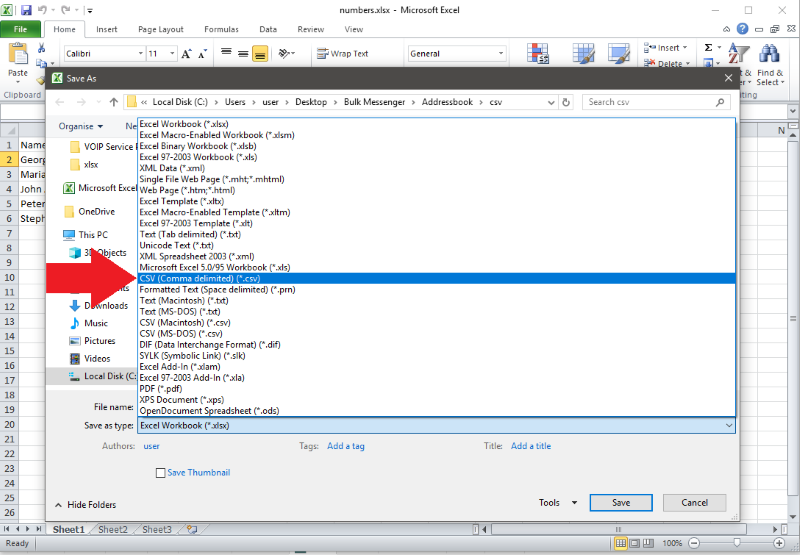 If you click on 'Browse...' you can select the Excel CSV file which you would like to use. Finally, it is time to upload the file. Click on the 'Upload' button and you will see the uploaded file highlighted in blue! Now you can click 'Ok'. 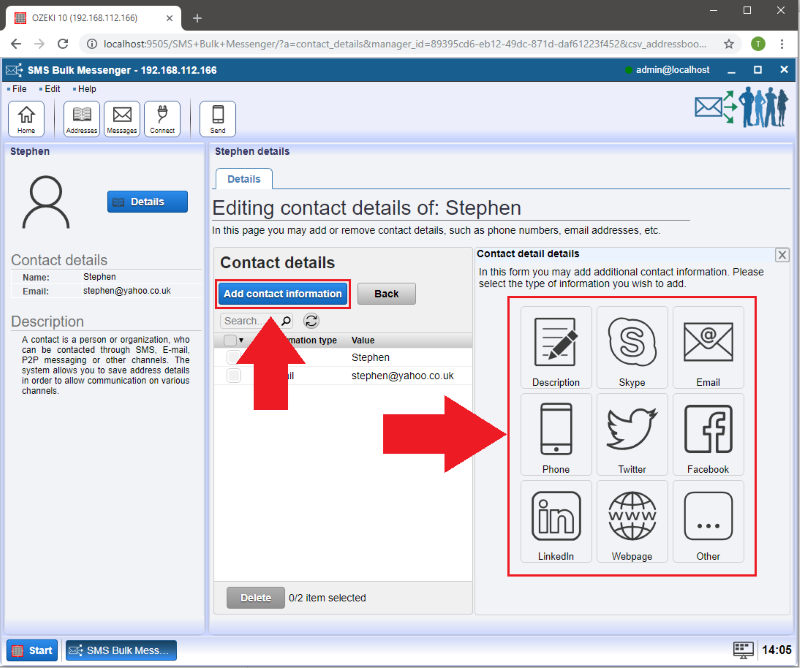 Please click on the 'Contacts' button in order to edit information of your contacts. If you would like to modify a contact click on the 'Open' button next to it. 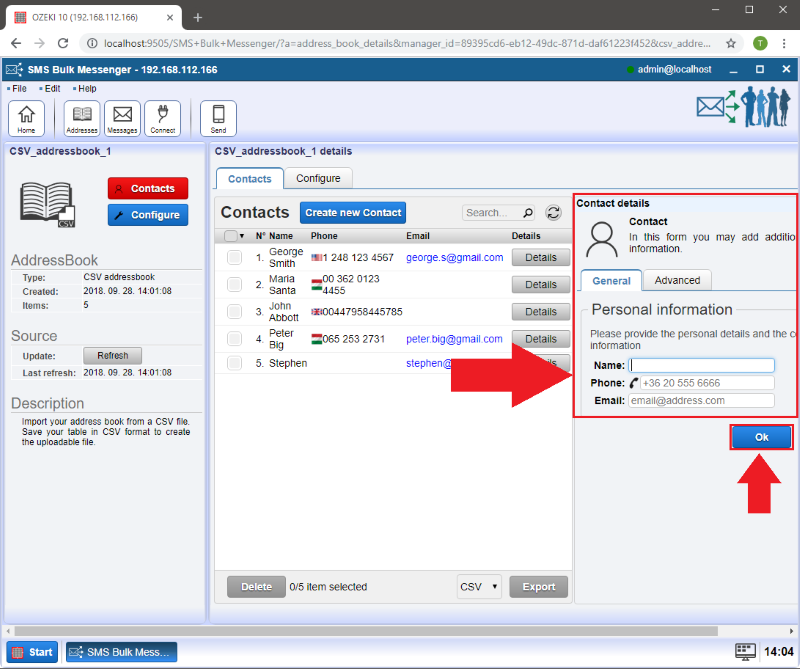 Now it is possible to provide more data of your contact. 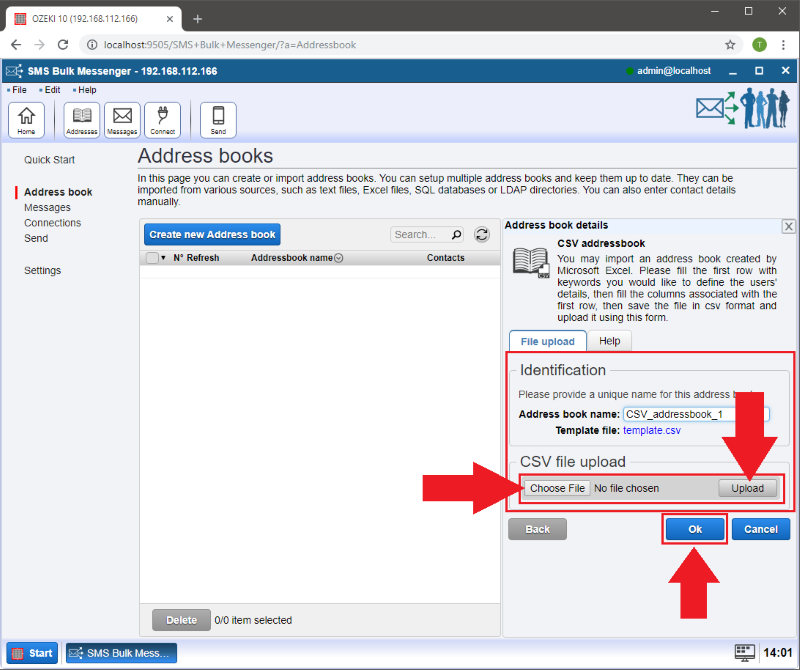 Click on the 'Add contact information' button and then choose from the different information types. 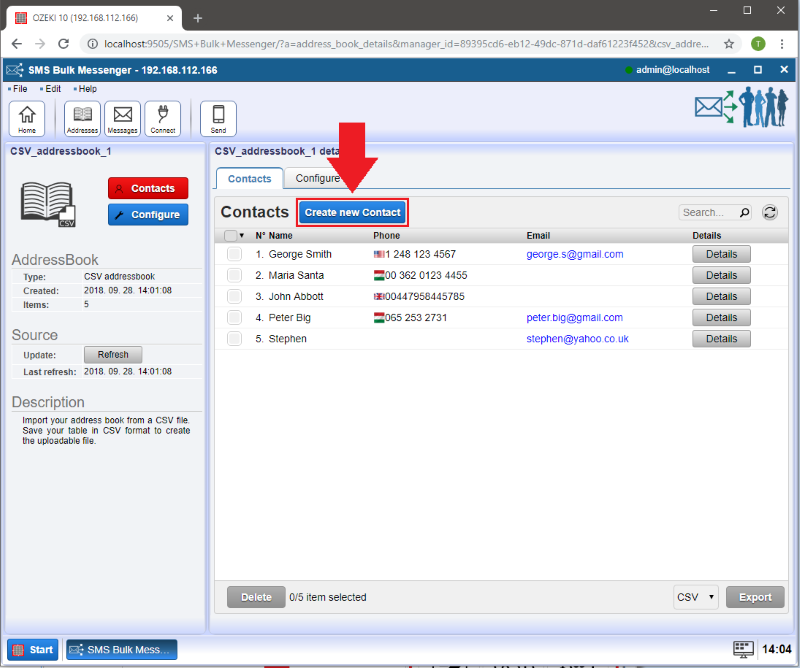 In case, you would like to add a new contact to the list then click on 'Create new contact'. 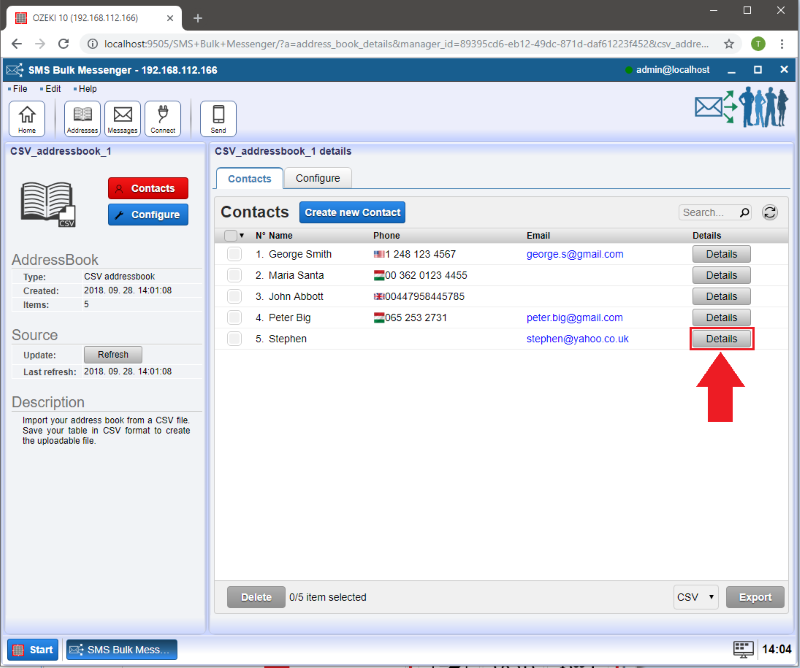 In the 'Contact details' window you can add basic information about the contact. If you are finished, select 'Ok'.